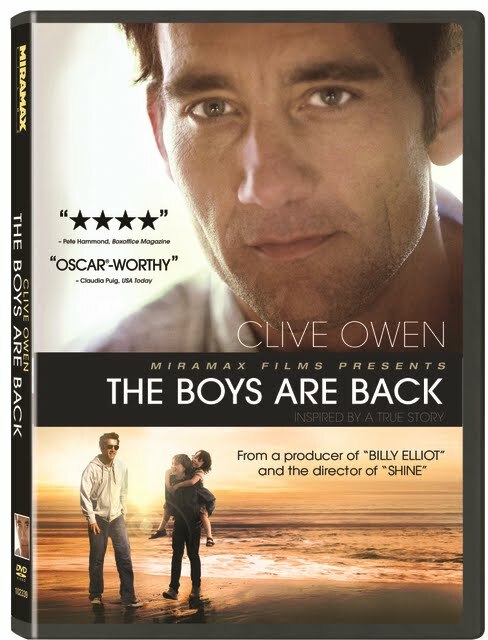 Nobody broods quite like Clive Owen. Always wryly half-serious, half-winking as though he'd garnered the role of James Bond that true fans like yours truly had imagined for him since Croupier, following a few convoluted capers like The International, Duplicity and whatever the hell Shoot 'Em Up was, Owen desperately needed a role like the one seen here. And it turns out that to salvage issues consisting of a genuine character likability problem, a jam-packed screenplay and a formulaic structure, Shine, Snow Falling on Cedars, No Reservations and Hearts in Atlantis director Scott Hicks desperately needed Owen to make this movie work. Walking the delicate tightrope between Nicholas Sparks and P.S. 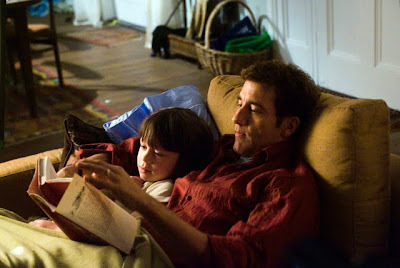 I Love You terrain, the film, based on Joe Carr's acclaimed memoir, chronicles Owen's heartrending journey from a bereaved husband whose wife dies from an agonizing form of cancer to becoming a committed father of two. Brooding a great deal towards the start and breaking down in some gorgeous rack focuses that seem to use the South Australian landscape as a metaphor for Joe's sense of isolation and pain, while the first act is as tissue ready as the last act of any given Nicholas Sparks adaptation, it feels much more authentic and dignified in the treatment of not just the dying wife but also Joe and their young son, Artie. As a busy sportswriter who spends weeks on the road, returning with presents with the same "buy your child's love" manner of other fathers who travel, the loss of his wife proves to be quite a wake-up call for Joe as he tries to acclimate himself to working from home going as far as to fake being at a tennis event. With the decision to-- as the mantra on his refrigerator reads-- “just say yes” to everything within reason all the while limiting the number of rules to be followed in his home, Joe goes through some lighthearted Mr. Mom moments in finding his way. 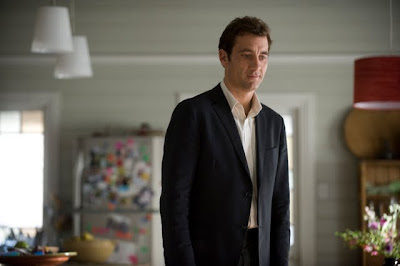 To particularly humorous effect, Owen's Joe arrives at parent/teacher conference only to pour his heart out to the woman whom he assumes is the teacher but in all actuality is another single mom who becomes his love interest in a neat movie plot trick. Yet, because we can't build an entire three act structure out of just his life with Artie and because life has the tendency of also saying yes in pouring on more “Little Earthquakes” as Tori Amos memorably sang, Joe gets a wake-up call that reminds him that he can't forget his past responsibilities. The literal and figurative call arrives right on cue in the film's script as the now teenage son from his first marriage decides to leave the UK and move down to Australia to live with the father he's barely seen and a half-brother he's never met. Obviously, the issue of blended families and affairs leading to surprise offspring is more common than we see depicted onscreen. Yet as presented in Boys are Back, it comes out of left field when we discover that the-then married Joe had impregnated his now deceased wife and then left his first wife and child back in England to follow her to her homeland to live. The subtext of this revealing subplot is that Joe is a romantic who will uproot everything for love. However, the coolly clinical way Joe's background is introduced by Joe in a cavalier manner makes us realize precisely what's lacking in the script which is basically some kind of accountability. Namely, Joe never really owns up to guilt over the way the relationship started and ended nor does he try hard enough to reach out to the older son who must obviously have felt entirely abandoned. And while Joe's story is moving enough to have easily earned the film, which Owen also produced, a Truly Moving Heartland Film Award, it's also one that we have a hard time relating to especially because we're not exactly certain what Joe ever "just said no" to before the death, which would make his decision to do the opposite and "just say yes" feel more profound. In fact, in another odd screenplay decision, Joe even goes as far as to tell his wife he didn't like her dress... just hours before she collapses and the cancer diagnosis is revealed. Although this may have happened and of course, he had no idea what was in store for his wife, the choice to include such a moment in the film without explanation is questionable. Is it tossed in to attempt to be funny or authentic or does it make us realize something slightly cruel about Joe? Whatever the case may be, even the gorgeous soundtrack featuring music by Icelandic band Sigur Ros couldn't prevent me from wondering if in fact the idealized characters in Nicholas Sparks' Message in a Bottle or The Notebook may have been preferable in this case. While the excerpts of the memoir included in the production notes contain a nice artistic style, the film loses it in the translation. Opening the work as Joe illustrates his “just say yes” theory with a queasy display of reckless abandon disguised as good old fashioned fun on the beach, Artie sits without any restraints on the front hood of his SUV so the ocean will shower him with Joe apparently giving no thought to what would happen if the boy fell and he drove over him. And although his connection with Artie will tug on your heartstrings, it's the older son whom we can't forget as it continues. In fact, it was so ignored in the final result that I couldn't help but wish that perhaps Hicks would've used a more experimental approach in relaying their experiences from the points-of-view of all three characters. While of course, nobody broods like Mr. Owen who displays an exceptional range in this one, the employment of a unique cinematic tactic would've undoubtedly helped move it away from the territory of Sparks and Lifetime and instead towards something that's flawed in a humanist way yet at the same time, far more complete and memorable all around.